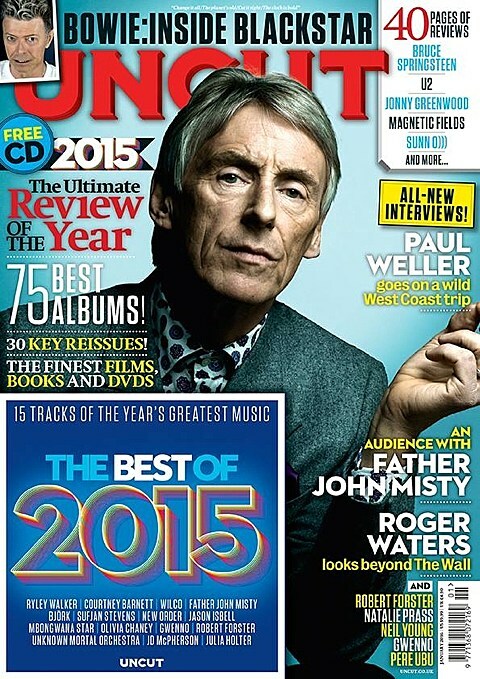 The new issue of UK music mag Uncut is out now, and it includes their Top 75 Albums of 2015 list. Like fellow UK mags MOJO and Q, they’ve got a lot of love for Julia Holter. They also have Sleaford Mods pretty high, lots of the 2015 year-end regulars in the top 10 (Kendrick, Sufjan, Father John Misty, Tame Impala, Courtney Barnett), and lots of older musicians throughout the list (Keith Richards, Bob Dylan, Neil Young, Richard Thompson, Nick Cave, Killing Joke, PiL, Paul Weller, Robert Forster, etc). Check out the full list below.